Pink and gold bridal shower invitations - super cute and modern. 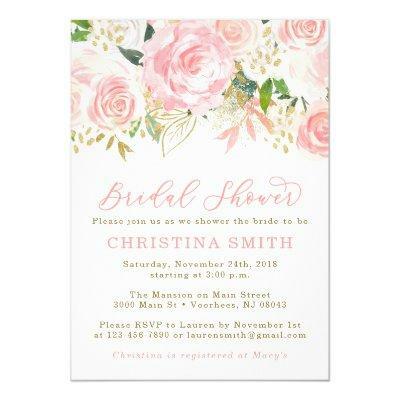 These invitations feature watercolor painted pink flowers and some greenery with gold accents. Perfect for an elegant bridal shower.